The Zone 2 Police Command, Lagos, has arrested a man, Victor Joseph, for allegedly threatening to kidnap his former Indian boss, Mr. Piush Kumar. The Okpo, Kogi State indigene was alleged to have sent text messages to Kumar, saying he would kidnap him if he did not pay some amount of money into a bank account. The Indian, who was scared, was said to have petitioned the Assistant Inspector-General of Police, Zone 2, Adamu Ibrahim, who directed operatives of the command to investigate the case. Detectives, who allegedly linked the messages to Joseph, were reported to have arrested him on Thursday, April 19, 2018. The Zone 2 Police Public Relations Officer, CSP Dolapo Badmos, who confirmed the incident in a statement on Tuesday, said the suspect confessed to the crime. She said, “The suspect before the incident was working for the Indian national, who is an employee of the Stallion Group of Company. He was sacked on February 26, 2012, which did not go down well with the suspect. He then disguised, using strange telephone numbers, and threatening Mr. Piush Kumar through text messages. 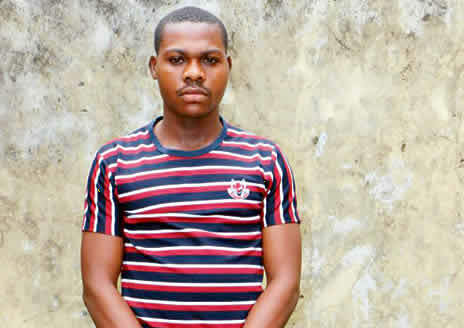 “The man filed a petition to the Assistant Inspector-General of Police, Zone 2 Command, complaining that he received text messages from strange telephone numbers directing him to pay some amount of money into a stipulated account or else he would be kidnapped and likely murdered. “At the receipt of the petition, the AIG detailed operatives of the anti-kidnapping unit to unravel the case. Investigations led to the arrest of the said Victor Joseph on April 19, 2018, at the Oshodi area of Lagos. Badmos said the command had allayed the fear of Kumar, adding that the suspect would be charged to court at the end of investigations.